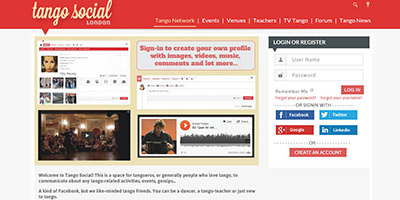 Having Argentinean roots and a passion for tango we wanted to develop an online comunity to promote tango in London. 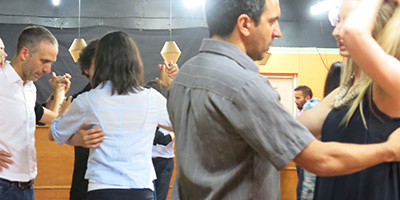 Tango Social is an open window for teachers and dancers to know each other and share events and tips about this wonderfull world. 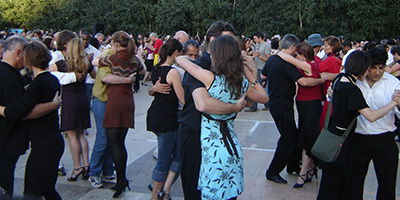 As an argentinian I have an interest in tango from my parents and as I got older I started to visit some tango venues but the information was bad and there is some very good blogs and pages that have a lot of information but i was thinking that everything was quite disperse and you may have a one academy promoting only they teachers and so on. Our idea was to consolidate all that info and create something that would allow all teachers and milongas and festivals, and so on. And we seen sites like that in the past but maybe they wanted to monetize and after a while they are abandoned and shutting down. How we want to promote tango? 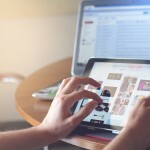 We are a digital agency that likes to explore different ways to use the internet to promote the products and services of our clients and tango london is not an exception. Well we have worked hard creating the site that would allow users to find out the existing milongas teachers and events, we also created the system in a way that teachers can create their profiles and they would have a total control of what they publish and we feel the site is started to look good. We think that giving the chance of seeing the teachers and the milongas would allow people to demystify (in a good way) the tango and show that everyone can join and start dancing, as long as you have passion and discipline. and want to put a bit of glamour in their life. We have big plans in the future to expand tango london but we are humble enough to start step by step.